If your employees are hand-picking cases and cartons from pallets in pallet flow lanes, then you need to consider the back pressure being applied at the pick face. Back pressure is the combined weight of the rear pallets that transfers to the front pallet. When left uncontrolled, back pressure can injure workers, and damage inventory and equipment. Mallard case-pick separators can change all that. 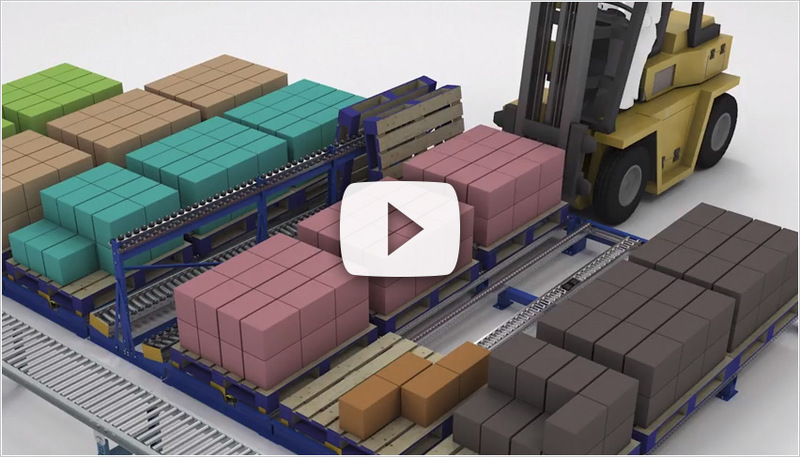 The 3D video above shows how quickly and easily the case-pick separator works to alleviate back pressure and improve case selection and ease empty pallet removal. Mallard’s case-pick separator holds and locks rear pallets a comfortable 4” to 6” behind the front pallet allowing cases to be picked and the empty pallet safely removed. Rear pallets are released to index forward with a simple foot-operated latch. Download our pallet separator brochure to learn more about case-pick separators and to see the whole line of customized pallet flow lane separators available from Mallard. 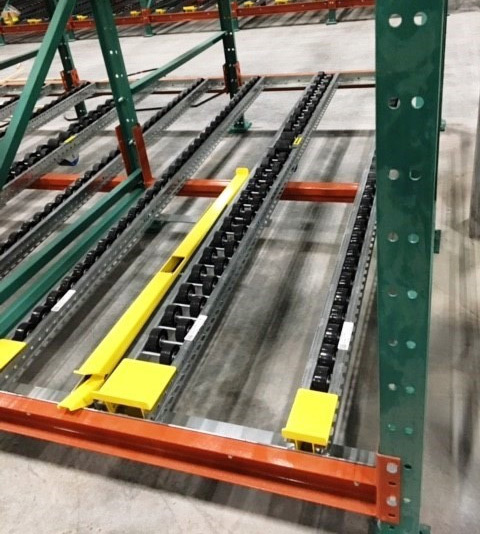 Contact us for specs for outfitting new or retrofitting existing pallet flow lanes.